Angry birds is a smart phone game that was invented by a Finnish technology company called Rovio mobile. The game consists of many different types of birds who attack a group of green pigs stationed in various locations. The aim of the Angry birds is to destroy the green pigs who have stolen their precious eggs. The Angry birds attach themselves on a sling as ammunition and launch themselves at the thieving pigs with the slingshots. The immense popularity of this game has been attributed to its highly entertaining nature, affordable price and intriguing game play. It has been regarded as being the perfect game for playing with touch screen cellular phones. Angry birds have also received numerous International awards at the Mobile World Congress for the years 2010 and 2011. Below are ten interesting and entertaining fun that have made Angry birds to have an universal appeal to people of all ages and different backgrounds. Angry birds is a smart phone game that was designed and developed by the Finish software company Rovio mobile in the year 2009. Its concept was inspired from the devastating 2009 swine Flu Epidemic that had ranged all over the world. 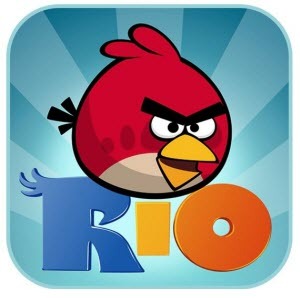 Fifty two games had been developed by Rovio mobile without attaining significant commercial success. Angry bird was Rovio’s big break and since then there has been no looking back. Angry birds was developed on a budget of less than $70,000 dollars. The game was developed by four software Engineers who took eight months to complete their job. Currently the game has surpassed its creator’s imagination with sales exceeding twenty million dollars in Application software and over ten million personal computer platforms. Angry birds is not just a smart phone game but a successful commercial franchise. Over twenty different kind of Angry Birds products are sold online at Amazon. This includes electronic devices like speakers, plush toys and a clothing line. These products are just as popular as the game. Peter Vesterbacker, the official spokesman of Angry Birds, is nicknamed ‘ The mighty Eagle’ after one of Angry birds’ characters. This name has stuck with him ever since. Upon its launch the Android application beta for angry birds sold more than one and a half million copies in a fortnight making it one of the most popular smart phone games. The immense popularity of angry birds has inspired Rovio mobile to come up with to design and develop two new games inspired from the original concept of Angry Birds. These games are Angry birds Rio and Angry birds Seasons. Both are proving to be as popular as Angry birds. There are over Twenty Angry Birds currently in the market. Many species of birds are used in this game. At the beginning only there is only the red bird ,with an increase of the bird species at every proceeding stage. During its inception one of the testers of the Angry birds game was so bad that he was nicknamed ‘Rovio killer’ by the its software developers. Although Daniel Crieg is a healthcare expert who is keen on his iPhone and regularly reviews iphone games and applications. How to Get Appropriate and Right Answer From Siri?